Reading the reason behind this particular children's toy product recall, I must confess that this is one of the scariest things I've ever read. Apparently, the Magnet Balls® Manipulative Magnet Sets pose a hazard that if swallowed, two of the magnets - by virtue of their strong magnetic pull - could fuse together within a child's intestine, and thereby threaten to kill a child. Thankfully, no incidents with this particular product were reported, although nearly 80 incidents with similar high-powered magnet toys were reported, leading to this particular voluntary product recall. That said, I am still troubled by one thing: why didn't this threat occur to anyone before this product was put on the market? 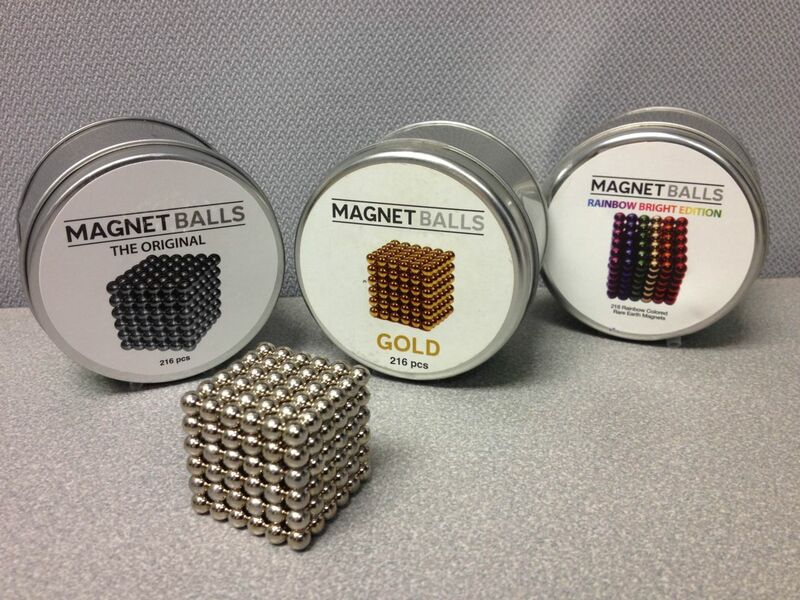 Post a Comment to "Risk of Ingestion By Small Children Leads to Recall of Toy Magnetic Balls"